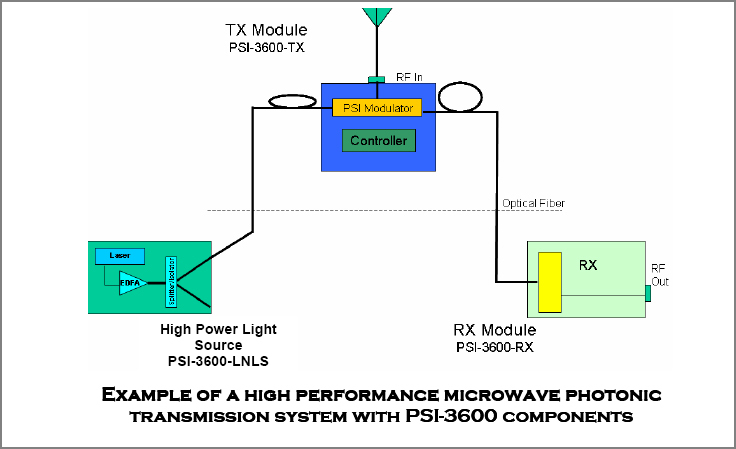 The PSI-3600-LNLS high power, low noise light source provides an optical carrier for use in extremely high performance photonic transmission links. The source may used with the PSI-3600-TX and PSI-3600-RX to reach previously unattainable performance or used independently in other applications. 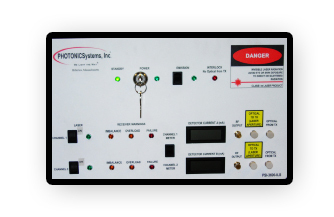 This product is available with optical power output levels optimized for specific application requirements. Multiple optical output taps are available to support light source sharing among multiple links. The PSI-3600-RX may optionally be built into the light source for applications where the light source and detector are co-located.